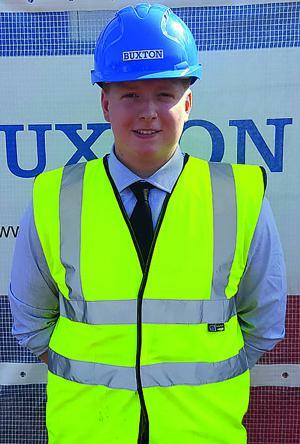 Lewis studied Construction Level 3 at ESC and was delighted to secure an Apprenticeship as a Trainee Site Supervisor with national builder – Buxton Building Contractors Limited. I have made immeasurable progress in terms of knowledge in construction. I have progressed very well and am becoming more and more independent with the work I do”. He also said “this Apprenticeship is a great opportunity for me at Buxton, paired with a great college course with good support from my tutor and assessor”.